"valentinesday" - Blog @ That Awesome Shirt! Find the perfect gifts, just in time for Valentine's Day! 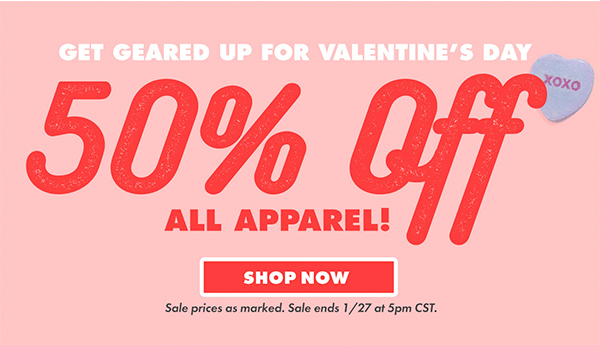 During our Valentine’s Day sale, we’re donating one shirt for every one we sell to a children's hospital! Choose from over 80+ sale tees to find the perfect gift! Sale ends 30th of January, 2017. Stock your cart with our favourites or check out teeturtle.com. Get geared up for Valentine's Day. Sale ends 27th of February, 2017. Threadless: Free Shipping! Because love. Free shipping with coupon code, because we love you! Minimum order of $40 (US) and $75 (international). Expires 29th of January, 2016. Save 14% off all order for Valentine's Day. Stock your cart with our favourites or check out zazzle.com. Our Valentine's extravaganza continues! Whether you are looking for a gift for a lucky someone or just want to improve your armor set, we've got something outstanding for you. Until 2/12, get 20% off all outerwear when you use code during checkout! It's scandalous! It's shocking! It'll keep you warm! Deal does not stack with sale pricing and is while supplies last, so get on it. Upgrades for everyone! Expires 12th of February, 2015. Stock your cart with our favourites or check out jinx.com. Zazzle: We Love Our Customers! Roses are red, violets are blue... Here's 20% off buy something nice for your cat... or doggie too! Expires 5th of February, 2015. 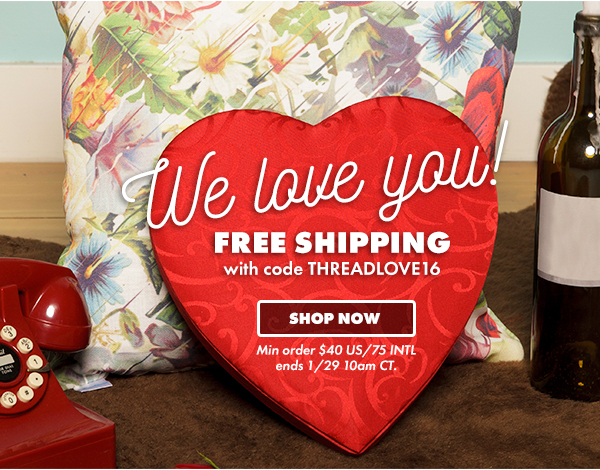 Use this coupon code and get 15% off on all of our LOVE COLLECTION t-shirts! Stock your cart with our favourites or check out naolito.com.